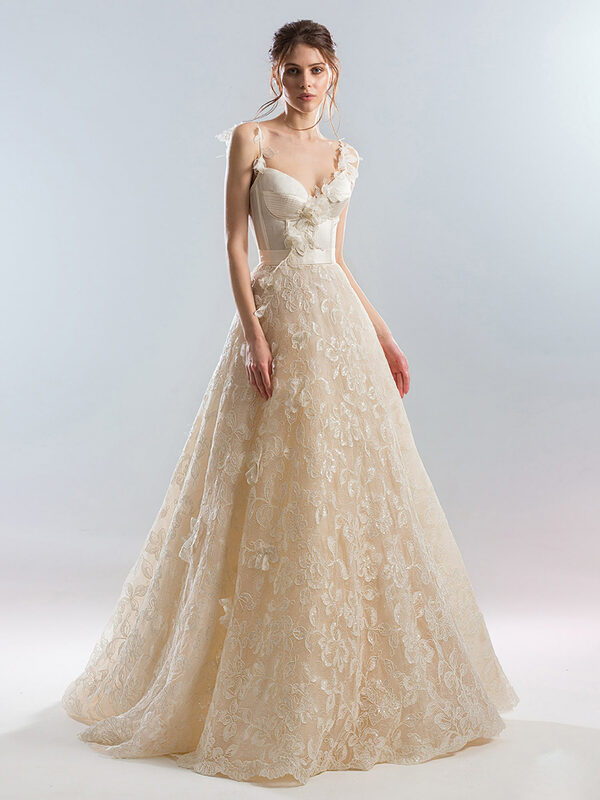 The combination of fitted bodice and lace skirt create a romantic look on this bustier-style A-line wedding dress. 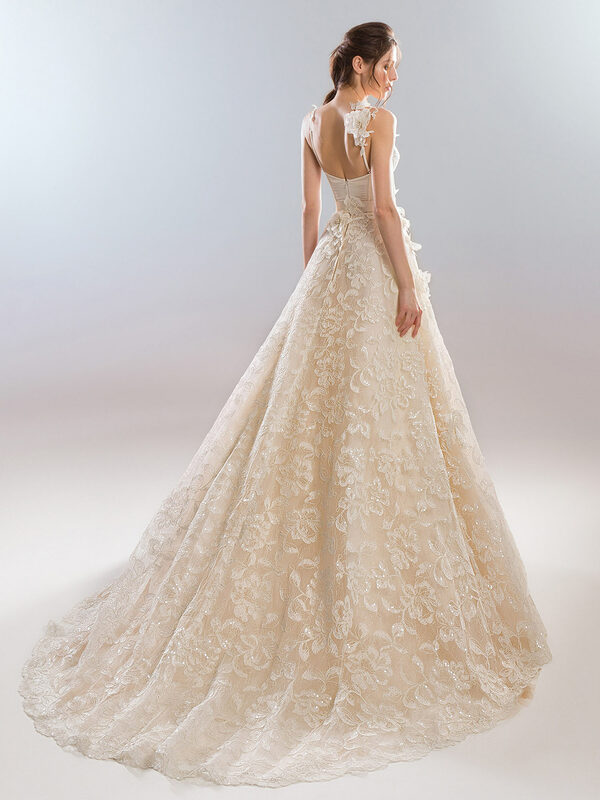 The skirt is made from intricate beaded lace and finished with a scalloped hemline. The bustier is finished with 3D flowers placed on both the strap and down the front.